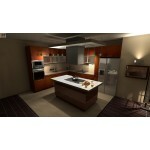 Why Install Gray Kitchen Cabinets in Your Cooking Space? Gray is the new favorite color of interior designers when it comes to kitchen design. Homeowners and interior designers prefer the color gray for numerous reasons. Unlike white, gray is quite easy to clean and maintain. On the other hand, unlike black, gray does not make a kitchen look dark, small and claustrophobic. The multiple hues of gray also offer homeowners a level of flexibility with their décor. Because of this variety, gray and steel appliances and furniture can also be easily integrated into any kitchen, as they can blend seamlessly with the pre-existing décor and style. 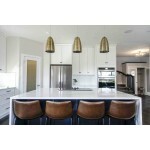 A kitchen design consisting of clean, minimal lines, and neutral gray shades can also add a modern edge to your home. Gray kitchen cabinets work best when combined with an overall contemporary look and feel. The thing about color gray that makes it such a perfect choice for kitchen décor is that it offers both a soothing neutrality as well as a classy and sophisticated glamor to the kitchen space, making it the perfect color for homeowners who want to enhance the functionality, maintainability, and aesthetic appeal of their kitchen. Minimalism is the need of the hour. A simplistic design combined with an understated sense of luxury are some of the things that gray kitchen cabinets have to offer. Fashionable urban lofts and penthouse suites now feature gray cabinets as they provide an open and airy look to the kitchen space. Therefore, gray kitchen cabinets can singlehandedly add a class, sophistication, and a subtle touch of glamor to your home. They can have the desired effect in enhancing the aesthetic appeal of the kitchen space, without going overboard or making the kitchen appear overly done up or decorated. The kitchen is the space where you undertake the daily culinary tasks of preparing meals for your family members and guests. Sometimes, the kitchen is also used for family meals, with all the members gathering in the kitchen to share the food together. Therefore, it is important to paint the kitchen space in tranquil, soothing, and relaxing colors. This will make the daily cooking activities a lot more pleasant and will also help you relax and unwind as you share a meal with your family after a long day at work. There are few colors in the world that emanate calmness and tranquility as much as gray, particularly the lighter shades of the color. Gray cabinets are particularly desirable when paired with a more colorful backsplash or vibrant flooring. Unlike white cabinets, gray cabinets do not stain or get marked, easily. They are thus pretty easy to clean and maintain. Even if a gray cabinet has not been wiped or dusted for a few days, it can retain its aesthetic appeal and not show any signs of poor maintenance. Additionally, being a relatively darker color, gray can effectively conceal minor scratches and dents. This ensures that the signs of wear and tear are not as prominent as they would be on a white cabinet. This also helps enhance the durability of gray kitchen cabinets, while simultaneously making them low-maintenance. The color gray has numerous different shades and tones, each slightly different from the other. While steel-gray cabinets can make a kitchen look modern and edgy, light gray cabinets will offer a feeling of airiness and tranquility. This feature ensures that when opting for gray kitchen cabinets, homeowners can customize the look of their kitchen space in accordance with their own tastes and preferences. There are a variety of options to choose from, offering much flexibility. No two kitchens having gray cabinets need to look the same, with the plethora of shades and designs available in the market. While they are increasingly gaining in popularity, gray kitchen cabinets are still quite far from being the norm. 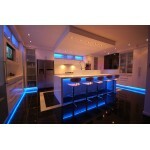 Therefore, they are a perfect choice if you want your kitchen space to have a unique and unparalleled look. Over the years, people have become used to seeing kitchen cabinets in various shades of brown, black, and white. More recently, the combination of white and black cabinets have also gained popularity. 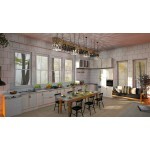 What better way to stand out than by opting for a set of elegant and unique gray kitchen cabinets for your dream home? These cabinets are sure to catch the eye of visitors and make your home look trendy and fashionable. These are some of the most important benefits of opting for gray kitchen cabinets. High-quality gray cabinets can significantly enhance the beauty and functionality of your kitchen space. They will make the daily culinary tasks a pleasure to undertake, rather than a chore. Additionally, they will help your home stand out amongst those of your friends and acquaintances.